What did you think when you took your first bite of a gluten free product? If it was anything like my experience, probably something like: "...am I really going to need to eat this for the rest of my life?" Now, like I've written before, gluten free food has a split reputation: it's either the fountain of youth and health or the grossest food you've ever eaten. The three years since my celiac diagnosis, however, have revealed a different truth: gluten free is as delicious as the brand you use. So I thought why not highlight the companies and products that have won over my heart - and taste buds? I've reviewed and received compensation for some of these products; others I've found and devoured on my own. Either way, this isn't a sponsored post - just a celiac foodie's opinion. 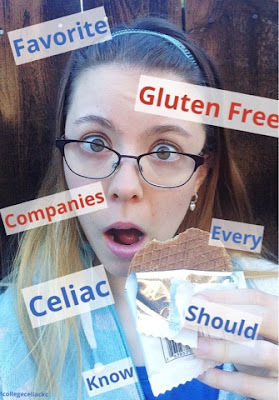 So, if you're craving gluten free foods that will make you forget gluten exists, here are the companies every celiac should know! Bob's Red Mill: while you should read labels carefully because Bob does offer gluten-filled products as well, I (literally) live off their buckwheat and rice flakes to make oatless oatmeal for breakfast or a night snack! I also sometimes buy my coconut flour, millet and buckwheat groats from them. Plenty of ways to enjoy! Enjoy Life Foods: now, this brand could equally dominate the "snack" section, but breakfast isn't the same without a sprinkle (OK, a pile) of their Trail Mix. It comes in two flavors (Beach Bash with dried pineapple and Mountain Mambo with chocolate chips) and is free of the top eight allergens. They also offer a plethora of cookies, baking mixes, dairy free chocolate chips and more. Once Again Nut Butter: as someone who only discovered different kinds of nut butter post-diagnosis, I'm now a self-professed addict. 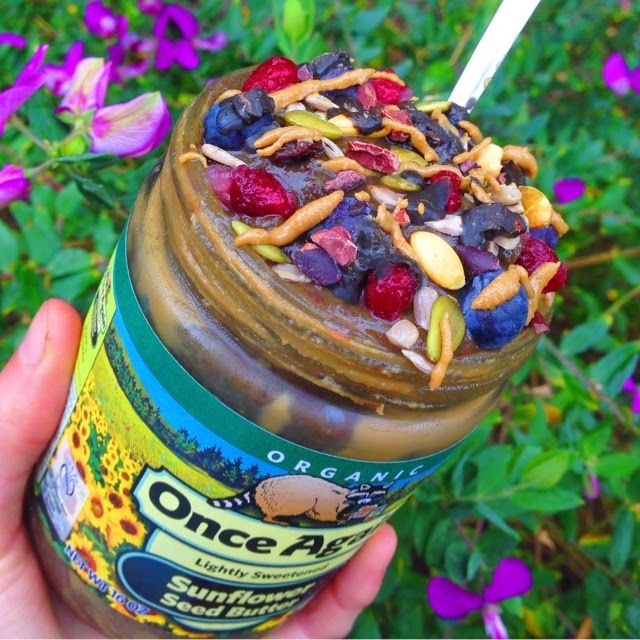 Once Again offers a variety of nut butters - my favorites are sunbutter and cashew butter. The best part of this line for me is that they also sell sugar and salt free versions for those wanting just pure, nutty goodness! 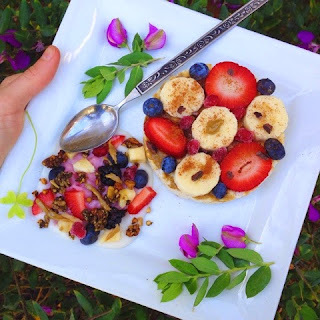 Erewhon: For rice crispy lovers, here is a healthier alternative breakfast cereal! I love their organic crispy brown rice, which only has three ingredients: brown rice, brown rice syrup and sea salt. It also boasts less than one gram of sugar per serving - but it's packed with flavor, trust me. Foster Farms: I'll admit that I don't use their products very often, but when I need a quick dose of protein to throw into dinner, I love having their chicken tenders on hand. They also offer chicken nuggets, but I've found that the tenders turn out crispier. Daiya: this is another must-know for people avoiding gluten and dairy. 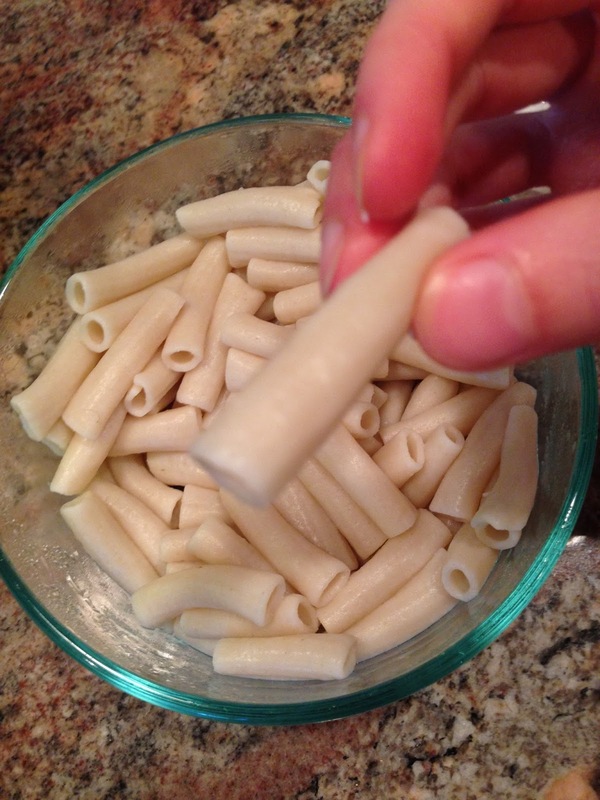 When I'm making pizza or Mac and cheese, I always use their shredded mozzarella cheese. They also have dairy free yogurts and packs of Mac and cheese - which will be perfect for crazy weeks at college. Potapas tortilla + daiya cheese = one killer quesadilla! 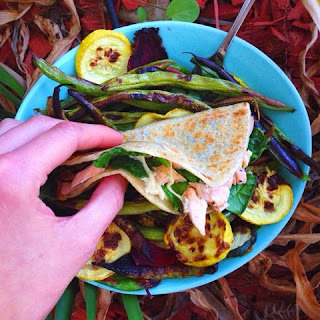 Food for Life and Potapas: when I was first diagnosed, I couldn't find a tasty tortilla to save my life (or at least fulfill my cravings). That's when Food for Life's Rice Tortilla and Potapas's potato-based tortilla came in. Both have a plain, versatile taste; can be frozen and thawed for easy single servings; and can be cooked on the stove top to create tasty chips. Pamela's Products: 'cause dinner isn't complete without dessert, right? While Pamela's sells a variety of baking mixes (like bread and pizza), my family always has a box of their brownies, chocolate cake and chocolate icing in the pantry. The chocolate cake is so good, the gluten-eaters in my family prefer it over wheat-filled cake! Tinkyada: although I'm eager to try some of the lentil and chickpea based pastas, Tinkyada's rice-based pasta is my family's all-time fave! It comes in a variety of shapes - including straight, elbow and spirals) - and holds together well when boiled or thrown in the slow cooker for homemade mac and cheese. We also love that it doesn't have any aftertaste and is easy to digest. Canyon Bakehouse: one of the first gluten alternatives most people look for is bread. While I don't eat much of it, my mom enjoys a sandwich with lunch every day - and Canyon Bakehouse always makes an appearance. Their breads always toast nicely, have a whole-grain flavor without the typical GF aftertaste and are hardy enough to handle several toppings without falling apart. And Canyon Bakehouse's new plain bagel? To die for! Baresnacks: are you a crunchy and sweet snack craver? Then dive into a bag of Baresnacks, which offers several types of dehydrated fruit. 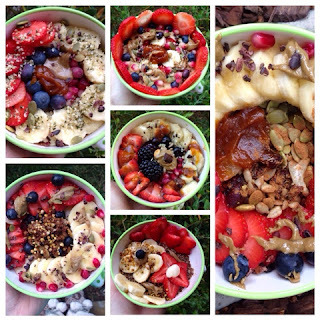 My personal favorite are the banana chips - they contain a whopping one ingredient: "banana" - and I love adding them to my yogurt for night snacks or on my smoothie bowls. 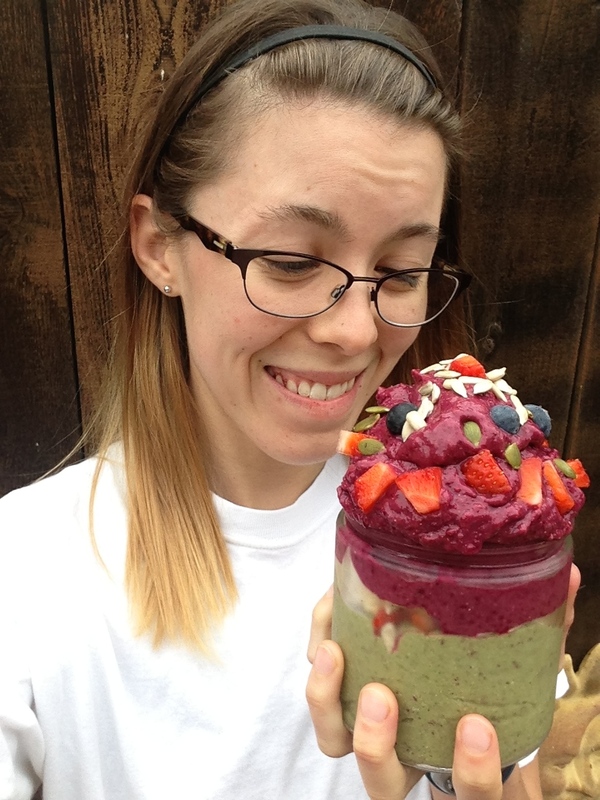 So Delicious: if dairy and gluten are partners in crime, you'll love this dairy free line. I buy 1-2 tubs of their coconut yogurt (I love the unsweetened vanilla version) each week and they make the perfect night snack. You can also find cashew ice cream (their new salted caramel cluster flavor is InSaNe!) and coffee creamer (which also works great in smoothies). Quaker's Rice Cakes: you've probably heard that rice cakes have a bad reputation in the health world. People say they're low in calories but only because they're low in nutrients - and that claim is true. However, I love crunching on these with nut butter and fruit on top or crumbling them into my homemade granola. For me, these are easy alternatives to toast, cereal and crackers when you don't want to buy a ton of different products. Nuts.com: okay, this is kind of a cheat since it's an online company rather than a brand, but it's beyond worthy of recognition! This is my go-to spot for ordering safe (aka, non cross contaminated) nuts, seeds, grains (like buckwheat and millet), superfoods and other goodies for a reasonable price. I'm especially ecstatic that Nuts.com just changed to offer free shipping on ALL ORDERS! (Considering shipping used to cost me around $20 for big orders, that's $20 more goodies to buy). Of course, I have plenty more favorite products and brands than just these - but these are the staples that appear in my diet every week or even multiple times a day. My hope? Not necessarily that you'll immediately go out and buy everything on this list (though, if you're a newly diagnosed celiac, these are some great foods to start with). It can even taste even better! Instead, I hope that you'll see that a gluten free diet can be just as delicious as a gluten-filled one. All it takes is some time, some experimentation and finding the brands that speak to your particular taste buds. Then all you have to do is eat! What are some of your favorite gluten free brands? Do you love any of the brands on my list? Comment below! Thank you for this list! As I am a gluten-free newbie I am still discovering brands and this list is really helpful! I just recently discovered Daiya and am loving it so much. I don't really like the slices, but the shredded cheddar cheese is amazing! If you can handle oats, check out Montana Gluten Free. They have carefully farmed, harvested, transported and processed oats that are as celiac-safe as oats can be. (I realize some celiacs can't eat oats, either.) They also have a couple of other things, including Timtana flour. This is a flour made from the seed of timothy grass. It's similar to teff flour. And they sell some mixes as well, all GF. Another brand of interest if you're doing your own baking is Moon Rabbit. The have certified GF cassava flour, which is made from the cassava root, so it's grain free. It also behaves a lot like white wheat flour in baking blends. They sell some mixes and flour blends as well. A couple more brands of interest for flours, mixes, blends, and other GF products are Anthony's and Authentic. Authentic has a bunch of GF flours and blends, mixes, etc. Their flours are mostly or all super-fine, so your GF baked goods don't feel gritty. Anthony's has a similarly large line of GF flours, etc., and some unusual things like cheddar cheese powder (which I know won't do you any good, but somebody might be interested). Most of their stuff is certified GF.